Ottawa, ON, Canada: Cornerstone Capital Resources Inc. ("Cornerstone" or "the Company") (TSXV:CGP) (Frankfurt:GWN) (Berlin:GWN) (OTC:CTNXF) announces that it has filed on SEDAR a technical report for the updated Mineral Resource Estimate announced November 20, 2019 for the Alpala deposit, Cascabel project, Ecuador. The technical report is available under the Company's profile on SEDAR at www.sedar.com and on the Company's web site (www.cornerstoneresources.com). 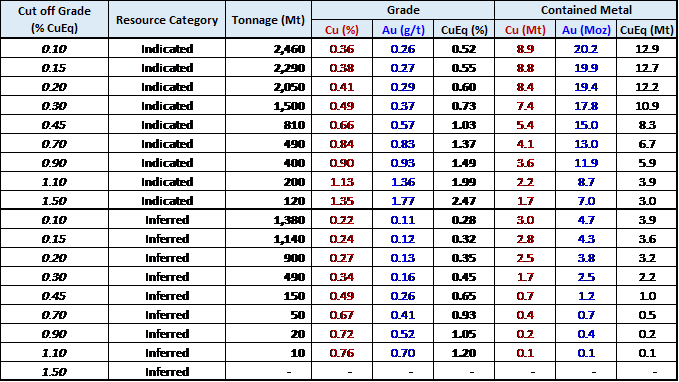 FURTHER INFORMATION: Cascabel is located in northwestern Ecuador in an under-explored northern section of the Andean Copper Belt, 60 km northeast of the undeveloped inferred resource of 982 million tons at 0.89% Cu Llurimaga (formerly Junin) copper project3 (Figure 1). Alpala Mineral Resource Estimate Update SRK Consulting (UK) Limited was retained by SolGold to prepare an updated Mineral Resource estimate and an independent National Instrument 43-101 report on the Alpala Deposit. The resource estimate technical report was prepared by SRK Project Manager, Mr Martin Pittuck using all available information. 1 Subject to SolGold satisfying certain conditions. See "About the Cascabel Joint Venture with SolGold" below. 2 See heading below titled "Alpala Mineral Resource Estimate Update". 3 0.4% Cu cut-off grade; Micon International Co. Ltd. Technical Report for Ascendant Exploration SA, August 20, 2004, pages 28 & 29. Mineralization identified at the Llurimaga copper project is not necessarily indicative of the mineralization on the Cascabel Property.